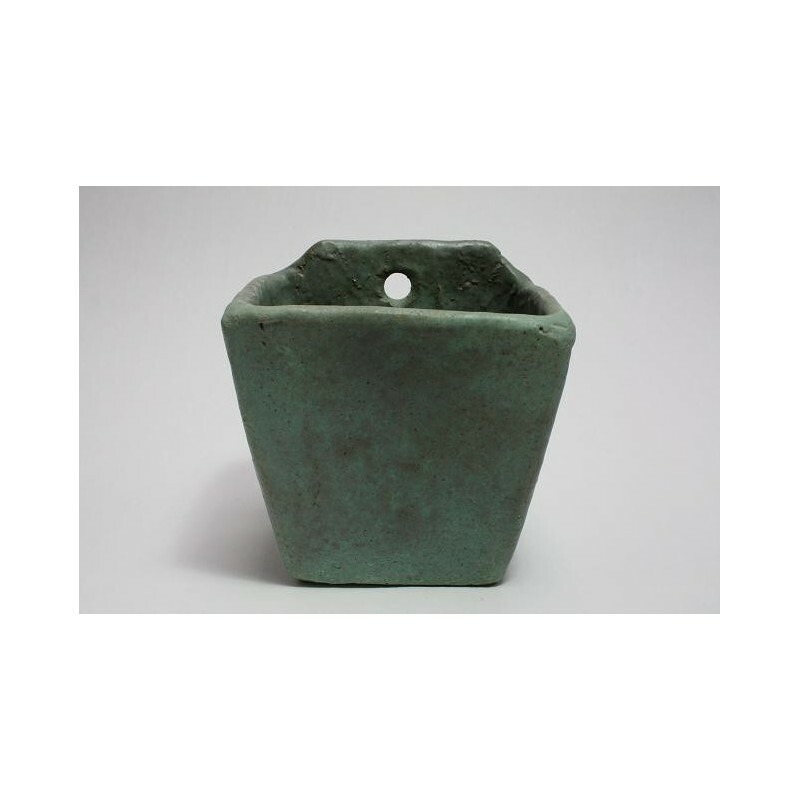 Beautiful green earthenware pot that is hanging on the wall. The flowerpot is from the Dutch pottery Mobach, Utrecht. 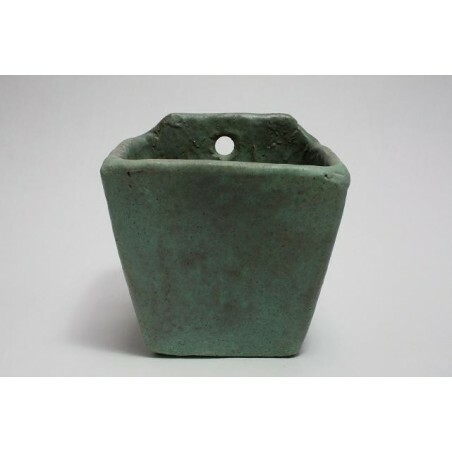 The flowerpot is from the 1960's and is in perfect, undamaged condition. The dimension is 17 cm long, 16 cm wide and 17 cm high.